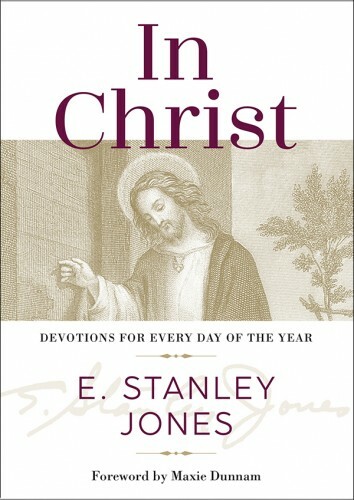 What could simplify a person’s life more than the phrase “in Christ”? Being in Christ marks out our identity as beloved children of God, but it is also a dividing line. To be in Christ is to participate fully in this life, with Him in the here and now, while to be out of Christ can be likened to sleepwalking, present physically but otherwise lifeless. This highly anticipated reprint of In Christ: Devotions for Every Day of the Year by E. Stanley Jones is a thorough study of the 172 times the phrase, “In Christ” or its equivalent is found in the New Testament. Centering on the theme of being in Christ and what that means for daily living, its meditations ring as true in our modern day as they did when it was originally written more than 50 years ago. Whether read in a once-a-day format or straight through, In Christ is a devotional challenge for us to decide to walk daily with Jesus.